Geometry classes, Problem 197. 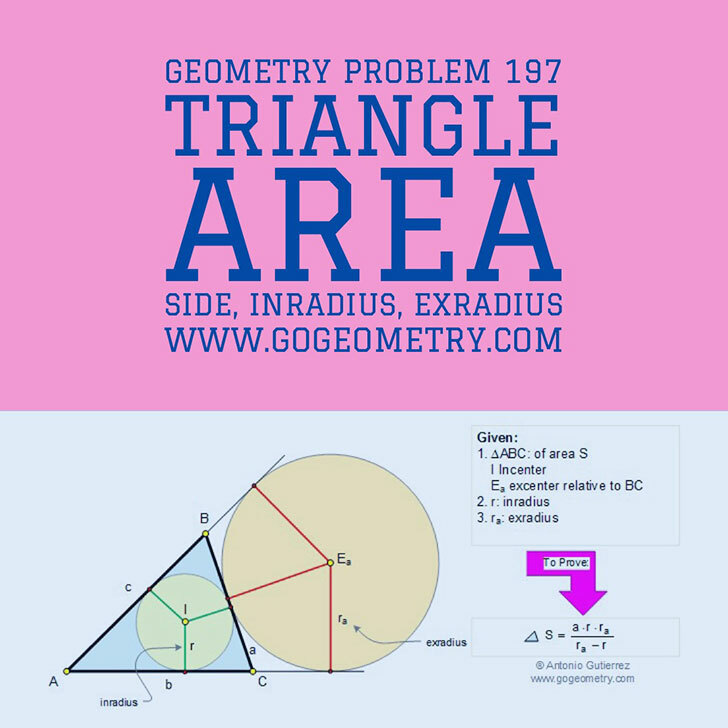 Area of a Triangle, Side, Inradius, and Exradius. Typography, iPad Apps, Math teacher Master Degree. College, SAT Prep. Elearning, Online math tutor, LMS.